A family factory with 90 years of experience, handed down from generation to generation, is capable of understanding the needs and goals of any business. Chaika exists since that time when the term “know-how” was described by the simple but meaningful phrase “to know and to be able to achieve”. Thanks to its rich history the company is familiar with the details of the Bulgarian market and it offers only the best solutions to its clients. After years of hard work the little workshop from Varna has managed to become an important partner to companies with different spheres of activity. Our company’s production is not positioned only on the Bulgarian market – part of it is exported abroad. 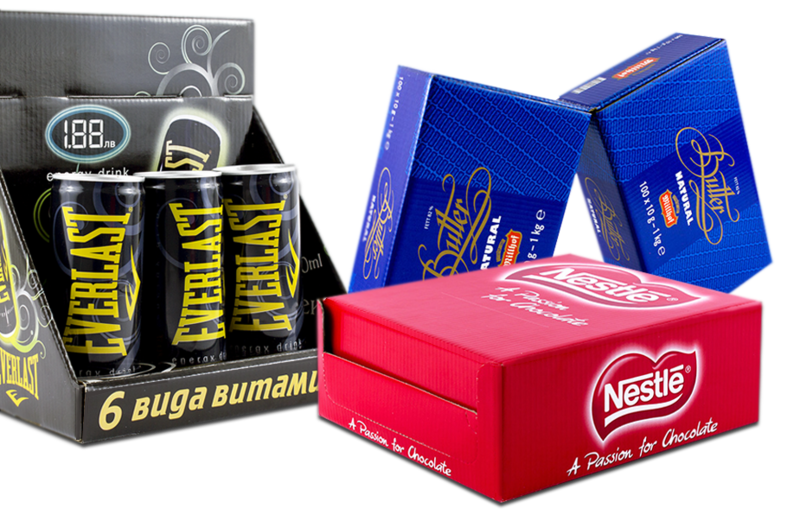 Chaika is the only company in Bulgaria which produces chocolate box paper pads (also called cushion pads). They can be white, or we can use one color flexo printing “spray effect”. Chocolate box cushion pads can be manufactured in various geometric shapes. Chaika always keeps in mind how important nature is to all living beings and does everything possible not to damage the environment. Therefore the company uses an innovative for Bulgaria steam system that reduces gas expenses and the level of harmful emissions. Development of a packaging design project tailored to the specifics of the product. Full logistic service including transport and delivery in prearranged time. Production of paper goods including 15 types of paper lace napkins. Development of the artistic design by experienced designers. Production of roll pads from two-layer corrugated board Е and F flute type. Providing a solution for the optimization of each package and correlated expenses – the solution is prepared by a team of technologists and specialists in the field of design and construction. The material arrives in rolls or formats, then it is formatted in sizes that have been requested in advance. Each client’s order is accompanied by the exact format size needed for manufacturing the product in demand. Chaika works with high-tech printing solutions: offset printing, flexo printing, hot stamping. Our factory manufactures two-, three and five-layer corrugated and micro corrugated cardboard with F, E, B or C flute types. The technology includes precise gluing of flat and corrugated layers of paper and cardboard. Backing is the process of producing three-layer corrugated cardboard panels by gluing paper and cardboard to two-layer corrugated cardboard. These technologies provide a constructive design of the product by cutting and creasing the stamped material and embossing the images. The stamped material is being folded and glued in order to achieve the final functional design of the product. The residual paper, cardboard and other waste materials are being recycled. In this way unnecessary raw materials get their chance for a second life and turn into useful plates and trays suitable for different purposes. We maintain long-term cooperation with some of the biggest companies on the Bulgarian market. This proves that Chaika is a reliable and loyal partner to any business, regardless of the specifics of its production.